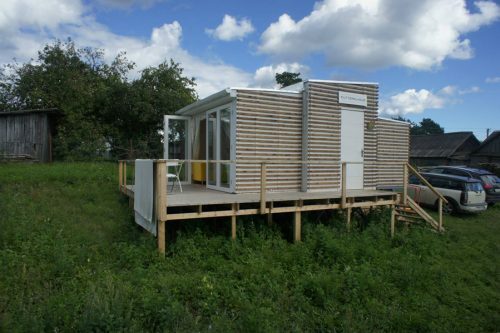 This small home is positively brilliant! Sleek and spare, but with a gorgeous layering of light, textures and elevations – I love the transitions from interior to exterior. Smitten! A very clever design and layout. So beautiful, clean and full of light! 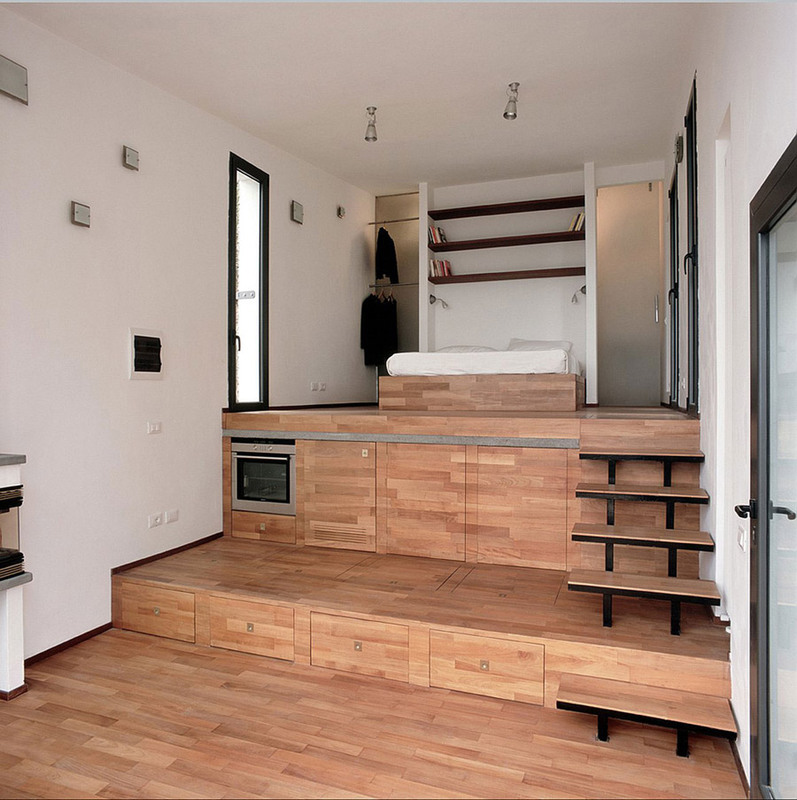 The view from the bed must be stunning and the way the kitchen is constructed is just genius! I could move in without changing a thing. These homes have very nice designed and view of all houses are very neat and pretty. I am so lucky to see these beautiful designed homes, in these houses have been used very new ideas and technique. AMAZING – I love the open view and the terraced landscape is superb. 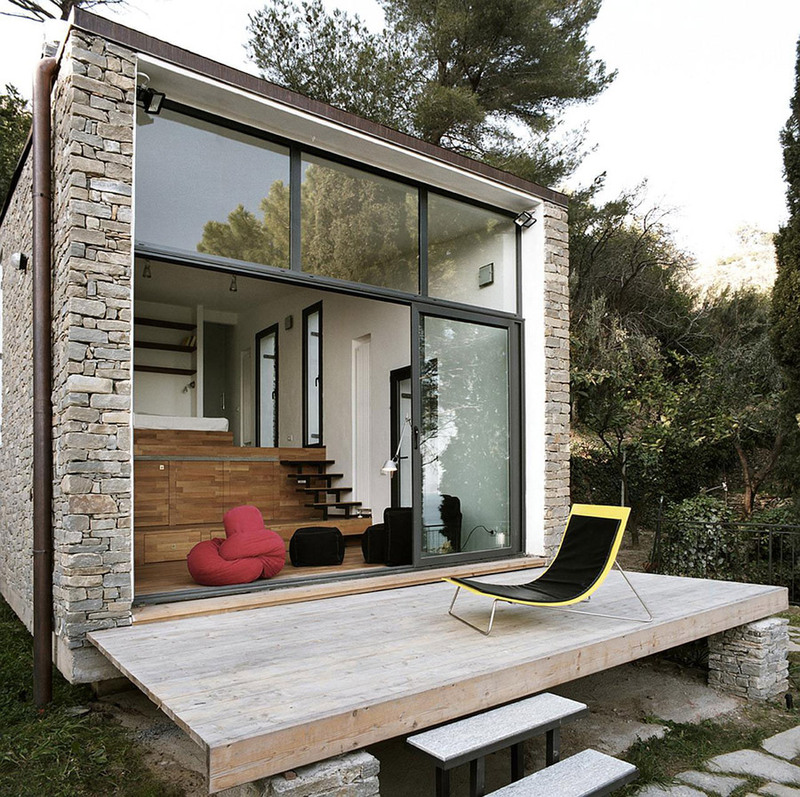 Well, this little gem takes first prize as the most delightful tiny home I’ve come across so far. I would live there in a heartbeat! The house sits so comfortably in it’s setting ~ just perfect. Best one I have ever seen. Hope someone in US gets a clue that design is important. Very tired of seeing same old cottage on wheels here…. I like the in side of this one …………. The kitchen is pretty good I have to say and I love the stonework and the setting. What I really really love is that sliding door to the bathroom. I would love to know where the supplier for that is – I am guessing Italy. 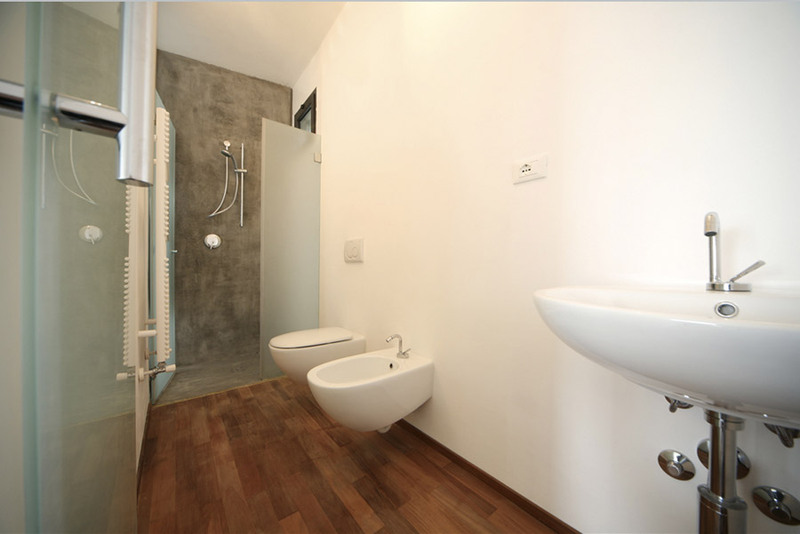 first tiny house with a bidet! Love this little home. Have seen it one a few different website. 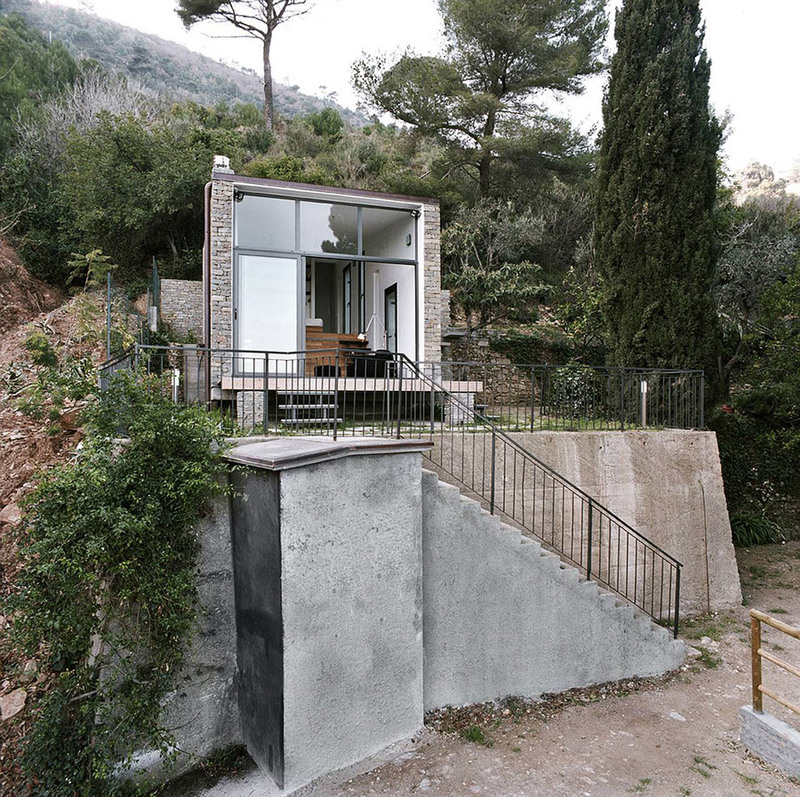 would love to have this home to live in here in the States. The only things missing that I see is a heat source and insulation considerations, not to mention heat loss or gain with that very large expanse of glass. The heat source is pretty obvious: all of those white tubes in wall recesses and what looks like a towel rack in the bathroom are hot water radiant heat arrays. Somewhere in the mechanical room will be a micro boiler for the radiant heat and DHW. 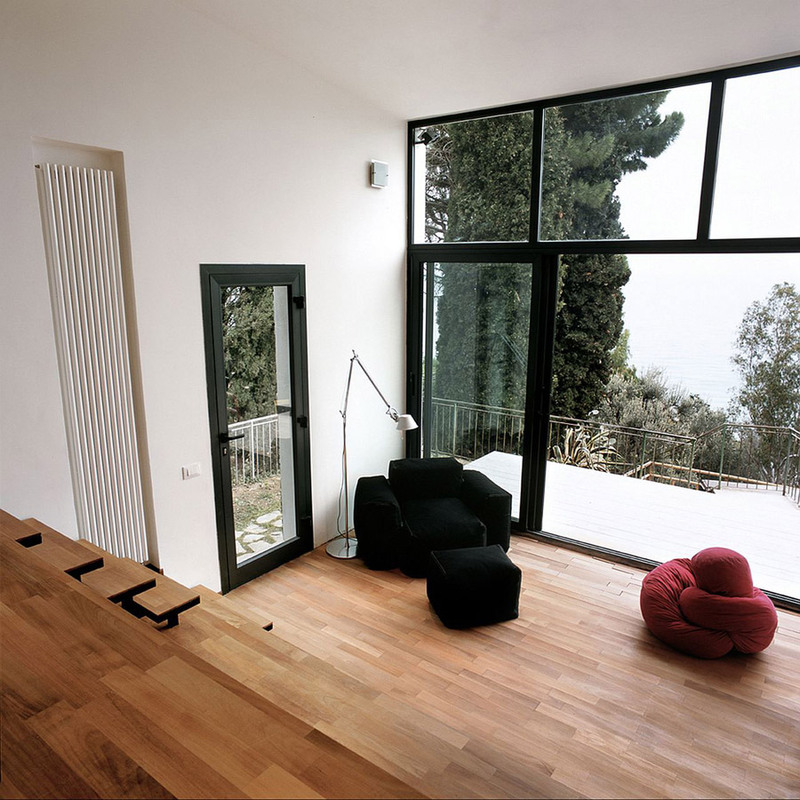 Italy has strict insulation requirements as part of the National Building codes. I know nothing about the design company for this house but it looks well constructed. Wow, very nice decorated houses, I like very much these types of houses. I want to use these technologies in my house. 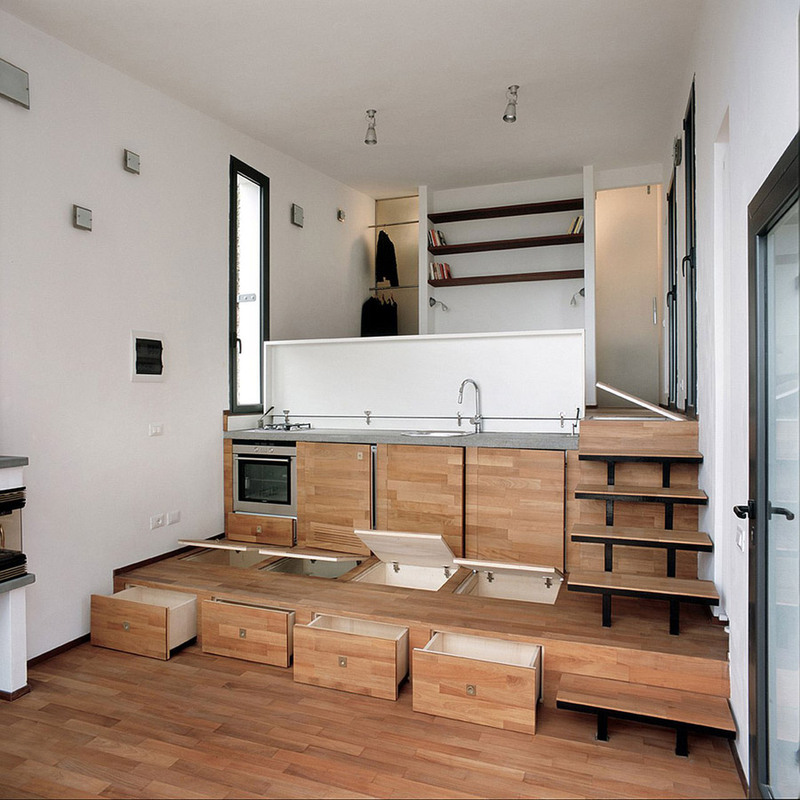 Wow, what an incredible design – I love the hidden kitchen, brilliant! 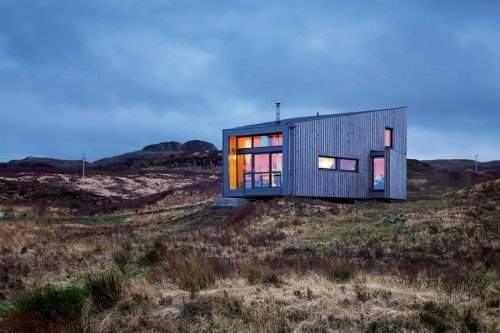 This is a gorgeous house to look at, but I’m not sure if I would like to live in it. As the kitchen and the bedroom don’t have any division, and the closet doesn’t have a door, the smell of food and spice and the frying grease will stick on the clothes. I like the door panels, but during summer I’ll miss windows, because opening the panels at night wouldn’t feel safe. The cabinets at the kitchen look marvelous, but not practical. They are deep drawers, and the kitchen utensils will tend to clutter and pile up. Oh, come on, don’t believe in anything I’ve just said. I’d love to have a house like that in Turin! I’m just jealous!